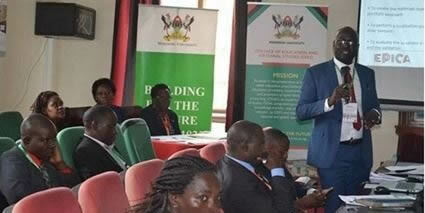 EPICA received a warm welcome at Makerere University’s Open Day on April 12th. At the half-day event, approximately 50 people came to learn about and discuss EPICA’s ePortfolio strategy. Those in attendance had been previously identified as key stakeholders of EPICA’s central goal: to bridge the pervasive skills gap. 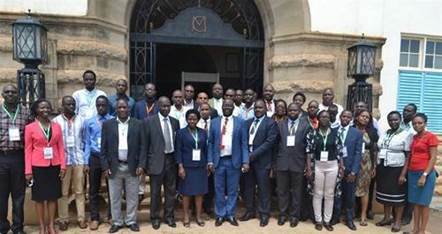 Among these stakeholders were professionals from the business sector, such as the Federation of Uganda Employers, the Uganda Manufacturers Association, as well as attendees from the Ministry of ICT & National Guidance, and the wider academic sector. Associate Professor Paul Birevu Muyinda proceeded to outline the approach to the project’s inception and EPICA’s medium- and long-term deliverables. These include workshops at EPICA’s partner universities as well as at the prestigious annual eLearning Africa conference. Jonathan Kizito introduced EPICA’s ePortfolio strategy in detail, it being the innovation at the heart of the initiative. 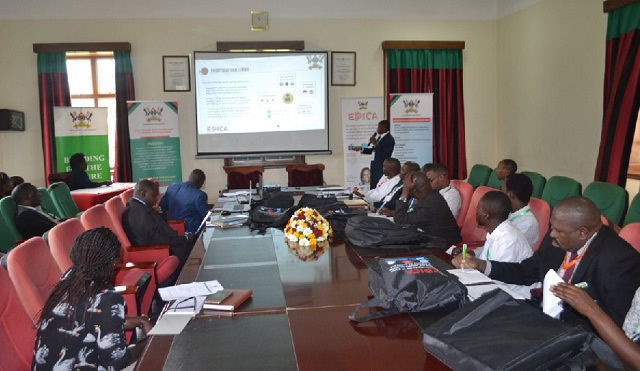 The Open-Day served as an opportunity for an in-depth dialogue with the stakeholders, whose lively input to the conversation surrounding EPICA’s ePortfolio is crucial in these early days of dissemination.